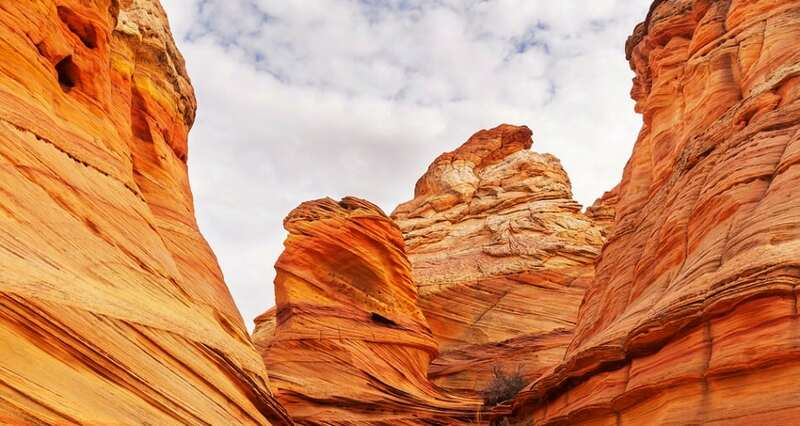 The Vermillion Cliffs rise from 3,100 feet in elevation to over 6,500 feet, and provide a prominent towering backdrop to the Lake Powell area and can be seen in the distance as far as Winslow, Arizona. 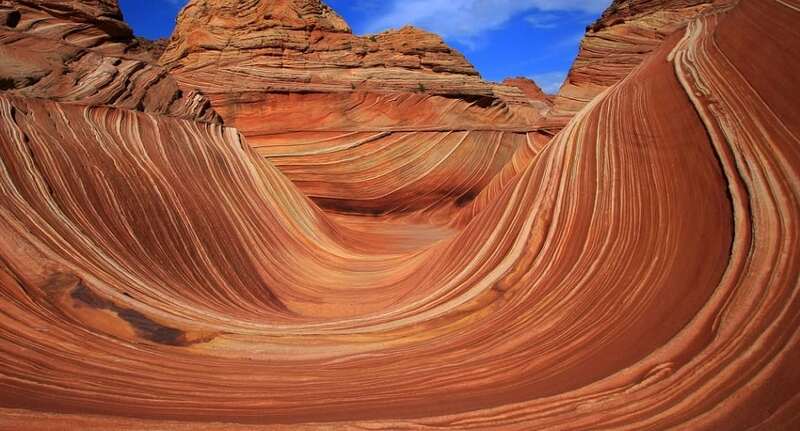 The Wave is a sandstone rock formation located in Arizona near its northern border with Utah. The formation is situated on the slopes of the Coyote Buttes in the Paria Canyon-Vermilion Cliffs Wilderness of the Colorado Plateau.